A brilliant and harrowingly honest memoir, January First is the extraordinary story of a father’s fight to save his child from an extremely severe case of mental illness in the face of overwhelming adversity. At six years old, Michael Schofield’s daughter, January, was diagnosed with one of the most severe cases of child-onset schizophrenia that doctors had ever seen. In January’s case, she is hallucinating 95 percent of the time that she is awake. Potent psychiatric drugs that would level most adults barely faze her. January, “Jani” to her family, has literally hundreds of imaginary friends. They go by names like 400-the-Cat, 100 Degrees, and 24 Hours and live on an island called “Calalini,” which she describes as existing “on the border of my world and your world.” Some of these friends are good, and some of them, such as 400, are very bad. They tell her to jump off buildings, attack her brother, and scream at strangers. In the middle of these never-ending delusions, hallucinations, and paroxysms of rage are Jani’s parents, who have gone to the ends of the earth to keep both of their children alive and unharmed. They live in separate one-bedroom apartments in order to keep her little brother, Bohdi, safe from his big sister–and wage a daily war against a social system that has all but completely failed them. 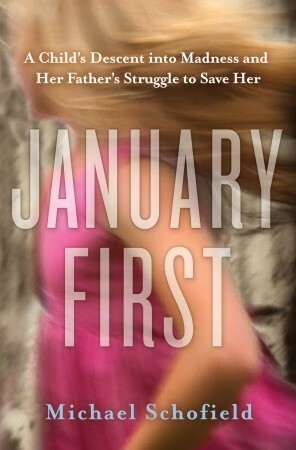 January First is the story of the daily struggles and challenges they face as they do everything they can to help their daughter while trying to keep their family together. It is the inspiring tale of their resolute determination and faith. This is an emotional and heart-breaking story, made even more so by the fact that it is true. I find that I can’t write a true review, because I don’t want to pass judgement on the way a parent has coped with a scary and sad life situation. I will say that it is brave and strong of the author to publish the story, since putting it out there will result in many people passing judgements on his actions. While some many agree with how he and his wife coped with Jani, there will be an equal amount criticising his actions, and calling him a bad parent. The writing itself is quite good. Thoughts, feelings and the emotion of each situation seem to jump off the page. 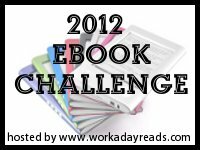 I was pulled into the story and read it in one sitting, not able to put it down until I was done. Overall, this is a story that will break your heart, and cause you to have a strong reaction to the way Jani’s parents reacted and coped. Schizoprenia is a terrifying mental illness, and to read how strongly it can affect a young child is both sad and enlightening. Once you read this book, you will see that it is not just homeless adults suffering from this debilitating disease. wow.. this sounds like an AMAZING book! I love realistic fiction books, and the cover is gorgeous as well! Great review! This really sounds incredible. I’d love to know how their story played out, especially since you say some people wouldn’t agree with how they coped. It sounds like the kind of book to possibly give to someone dealing with similar situations too. I’m glad I read your review of this one!